G-DRAGON, top KPOP solo artist and leader of the hottest Korean band, BIGBANG, announced his return today with his third solo tour G-DRAGON 2017 WORLD TOUR <ACT Ⅲ, M.O.T.T.E>. 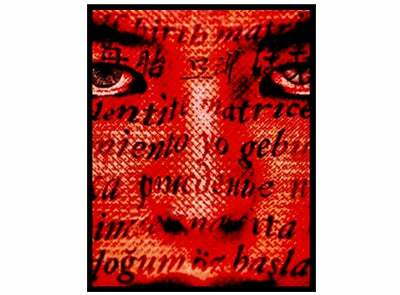 G-DRAGON’s unforgettable 2013 World Tour ONE OF A KIND attracted over 570,000 fans in 13 cities, 8 countries and 27 shows. G-DRAGON 2017 WORLD TOUR ACT Ⅲ, M.O.T.T.E promises to be another spectacular performance. M.O.T.T.E. (母胎), the abbreviation for Moment Of Truth The End, will give insight into the truth hidden behind the glamorous life that G-DRAGON’s massive success has brought him by exploring ACT III, the third phase of his career at 30 years old. G-DRAGON, a leader and producer of Korea’s hottest artist group, BIGBANG, has produced not only their cult songs, ‘Fantastic Baby’, ‘Bang Bang Bang’, and ‘BAE BAE’ but also his hit song ‘Crooked’. Several of the songs he has produced have more than 1 billion views on YouTube, and ‘Fantastic Baby’ and ‘BANG BANG BANG’ have more than 2 billion views. His first solo album ‘HEARTBREAKER’ was released in August 2009 and gained major success topping the charts in South Korea and breaking the record for the most copies sold for a male solo artist that year. In 2012 he issued a solo EP ‘ONE OF A KIND’ that gained critical acclaim worldwide which was followed by his successful 2013 World Tour of the same title. His 2nd regular album, multi award winning ‘COUP D’ETAT’ was released in September 2013 and featured collaborations with star-studded artists and producers, including Missy Elliott, Diplo, Baauer, Boys Noize, Sky Ferreira, Siriusmo, Zion.T, Lydia Paek. G-DRAGON is recognized as one of the most influential leaders in music and fashion and in 2016 was named by Forbes Asia as the Most Influential Person Under 30 in Entertainment and Sports.